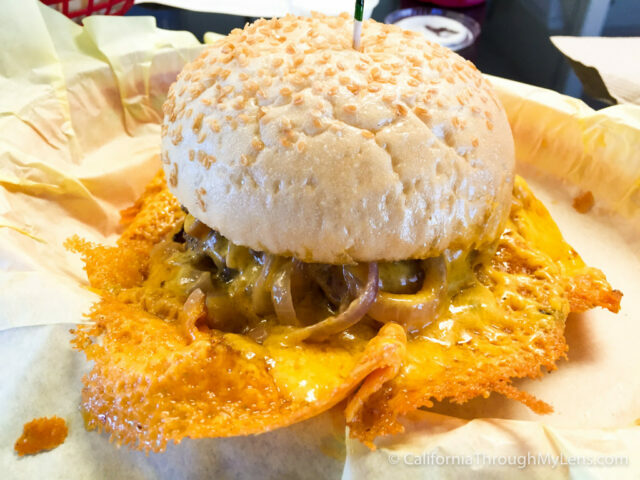 Ever since I watched the ridiculous Diners, Drive Ins and Dives that featured the Squeeze Inn, I knew I had to one day try this beautiful burger with its flowing cheese skirt. If you don’t know what I am talking about then check out this video from the show before continuing as it will do a better job of showing the burger to you then I will. 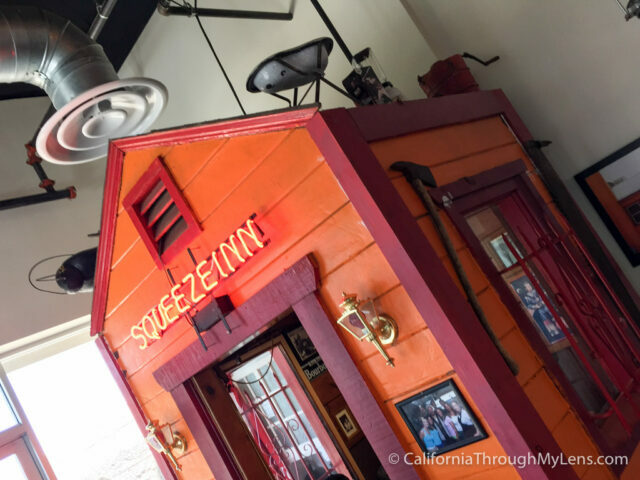 The original Squeeze Inn was a small orange building that could only hold about 10 people at its bar. That building was sold years ago and actually burned down in 2009 so the only piece that still exists is the front which was installed in the new building to maintain the charm. 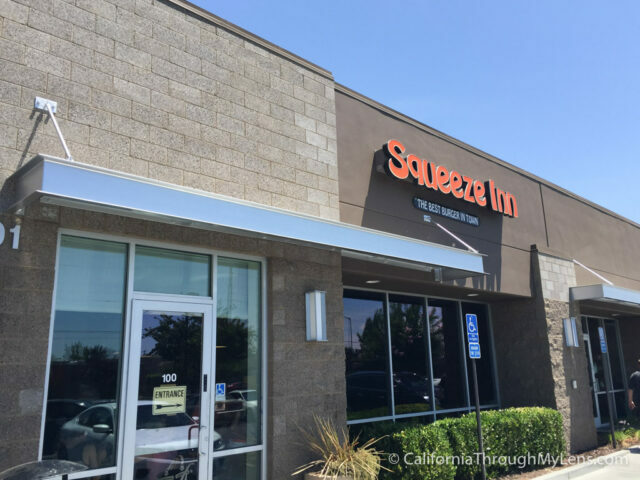 The restaurant is located in a commercial area on Power Inn Rd and the exterior blends in with the other restaurants. When you go inside there is one long bar with 12 seats that face the open kitchen and then a few tables off to the left if you have a bigger group. 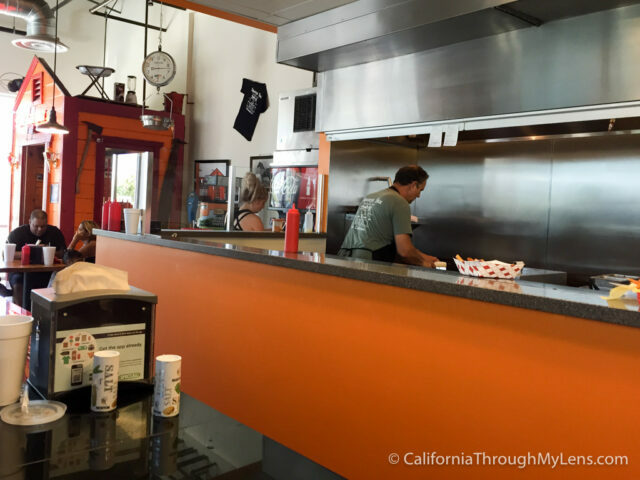 I sat at the bar and found it interesting to watch how they made the burgers, just like in the video, while I waited for my meal. When the burger came out it looked overpowering and I felt as though the calories were already latching to me, not that I am complaining, I knew what I was signing up for. The cheese itself is really good. It doesn’t taste burnt at all it just tastes cooked, if that makes sense. The burger is spiced well and is thick and juicy. I found myself taking off the cheese skirt and sticking it back on the burger as I liked the crunch it provided while I ate the burger. The sesame seed bun is soft and doesn’t have much flavor, which is perfect as it doesn’t detract from the burger and the cheese. I found it to be an above average burger that I would come back for. 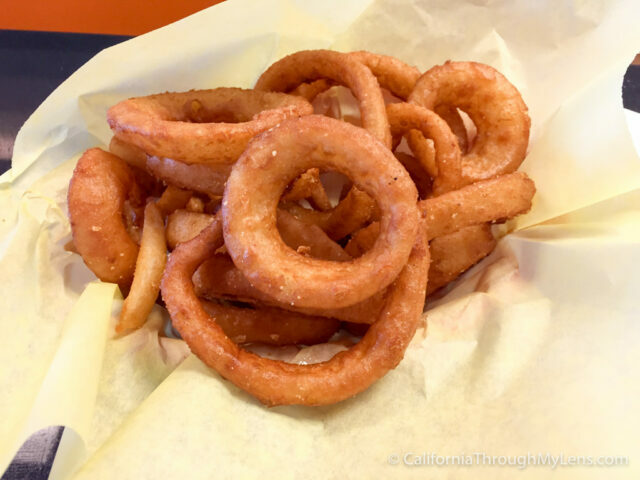 I also got onion rings and after seeing the massive quantity arrive I am not sure why I did. I was full from the burger so I ate a few, but they were just normal so nothing crazy. 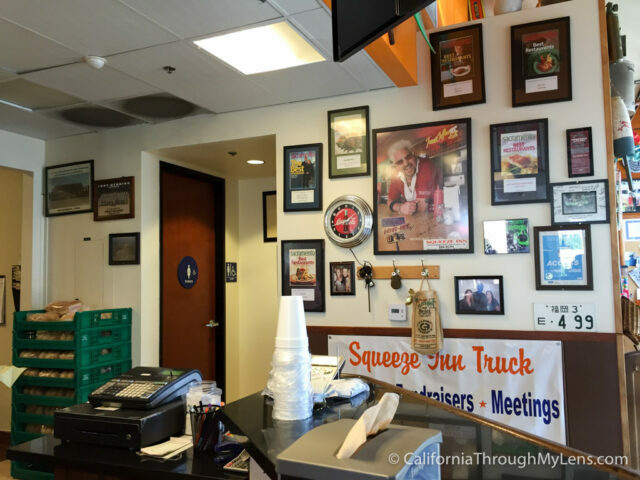 The staff here was great as well, they were joking with the customers and just seeming to be having a good time. I paid my bill with a smile on my face and a full belly. I am glad to report that this spot is just as good as I anticipated. The cheese on the burger is cooked unlike anything I have ever seen at other restaurants and as long as you are not on a diet you should at least give it a try once. Let me know what you think in the comments.